Through Teach & Test, now in it's 15th year, students in the South Bay generate data that can be used to promote local government awareness of the environmental problems in our back yard. Making a difference for our coast is easier than you think. By giving monthly as a Coastal Protector, you will fund our network with the resources they need to fight for what we love - our ocean, waves, and beaches. The Trump Administration has announced a proposal to expand offshore oil drilling in US waters, threatening ocean recreation, tourism, and fishing industries. 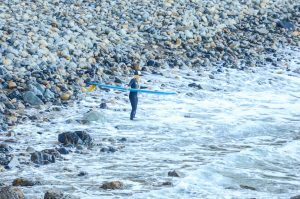 Thirty years ago a group of surfers from Malibu, California, were concerned about the health risks associated with environmental threats posed by escalating coastal development at their favorite surf spot. Since its inception in 1984, the Surfrider Foundation has evolved into one of the largest non-profit grassroots organizations with a volunteer-activist network dedicated to its mission to protect and enjoy the world’s oceans, waves, and beaches. 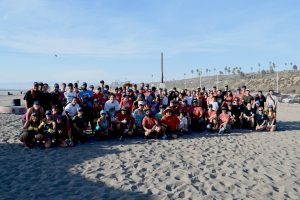 Today, the Surfrider Foundation has 84 chapters, including 30 high school and college clubs, and more than 250,000 supporters, volunteers, and activists fighting 90 active campaigns around the country. Filled with times of uncertainty, it hasn’t been easy. 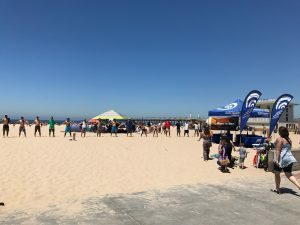 The Surfrider Foundation’s long-term success and growth is a tribute to its founders vision, that taking on an environmental battle may not be easy, but with constant pressure, endlessly applied, it can be won. 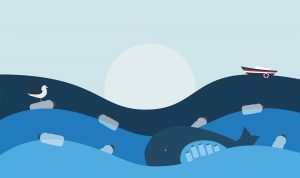 Beach Cleanups: Why Do We Sort Trash?